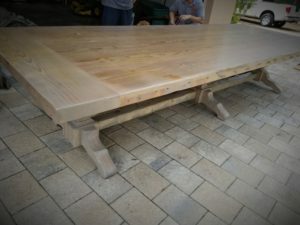 Finally the big 16’ farm table built two years ago has been dethroned. 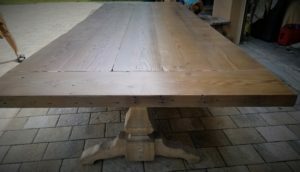 This new king farmhouse table comes in at 13 feet long, extra wide almost 5 feet wide and just under 700 lbs. It now rests in a family’s new home in Indiana. 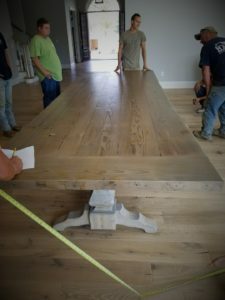 The Indiana family contacted Jesus Tables looking for a big reclaimed wood table to go with their new big home and open floor plan. 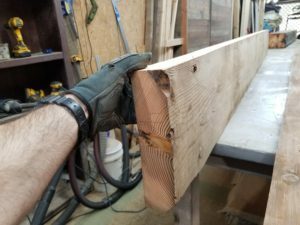 We put together some nice thick pieces of reclaimed beams to make the top, much thicker than normal wood, which is why it’s so heavy. 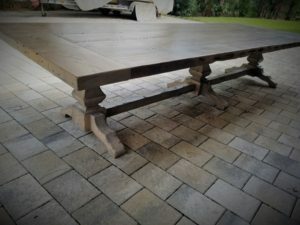 Then put together some nice pedestal bases connected to each other… 3 of them were needed to support the weight. Everything was stained a slight gray to weather away some of the natural reddish tint from the reclaimed wood. 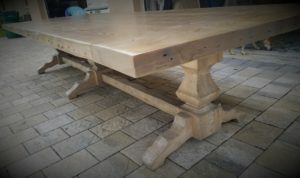 This table was very difficult to build and move around. Several people were needed during construction at all times. Big thanks to the great people at rust never sleeps who tore down the barn to harvest this beautiful wood. 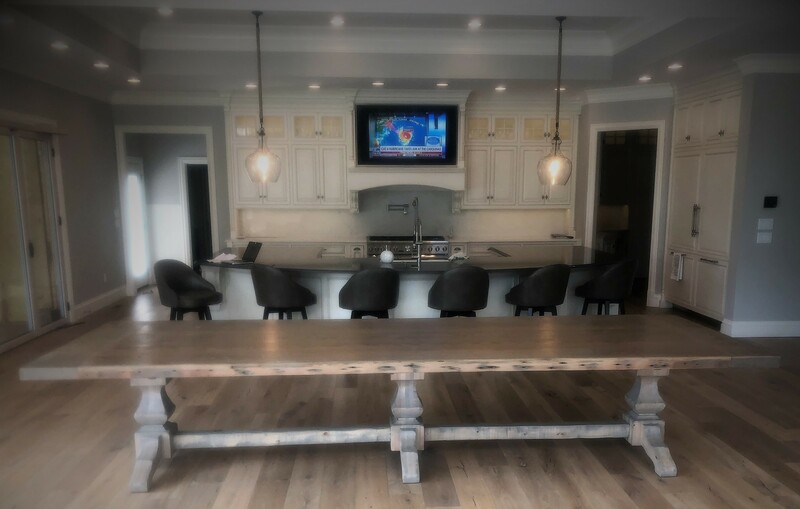 Lots of work went into this big trestle table.